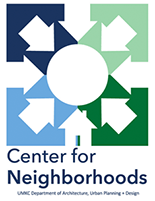 A free event for all Kansas City neighborhood leaders and advocates. Five new homes were completed in the Fall of 2014 and put up for sale by the Metro Grove Real Estate, LLC. The new homes were built as part of LISC's NeighborhoodsNOW development plan for the Douglass/Sumner communities. The 4th Saturdays of June (24th), July (22nd), and August (26th), we will host free, family events at Budd Park in Northeast KC. Landscaping and plantings for neighborhood common areas. The Nottingham Garden project will turn a vacant and trash-laden parcel of land adjacent to the Nottingham Apartments into a productive, beautiful, and educational garden that includes a Community Supported Agriculture (CSA) distribution project. The purpose of this project is to provide services for ex-offenders (men) to help them be reintegrated into society for the sake of their families, communities, and society. Operation Brightside provides services that assist residents with efforts to clean-up their neighborhood.